A simple blood test may be able to predict cancer years before a diagnosis. According to new research from Northwestern Medicine in collaboration with Harvard University, scientists detected a distinct pattern in the changing lengths of telomeres, the protective end caps on our strands of DNA, which may act as a biomarker to predict cancer years before it develops. The study, which is the first to track telomere changes over years in people developing cancer, was published in EbioMedicine. "Understanding this pattern of telomere growth may mean it can be a predictive biomarker for cancer," Dr. Lifang Hou, the lead study author and a professor of preventive medicine at Northwestern University Feinberg School of Medicine, said in a statement. "Because we saw a strong relationship in the pattern across a wide variety of cancers, with the right testing these procedures could be used to eventually diagnose a wide variety of cancers." For years, scientists have been trying to understand the relationship between telomeres, considered a marker of biological age, and cancer development. Previous results, however, have been inconsistent. In the new study, researchers looked at the measurements of telomeres in 792 people over the course of 13 years. Of these participants, 135 were eventually diagnosed with different types of cancers, including prostate, skin, lung, leukemia and others. Initially, scientists gathered that telomeres aged more quickly - indicated by a more rapid loss of length - in the individuals who were developing cancer. In these people, the telomeres appeared as much as 15 years older than those who were not developing the disease. The study also found that the accelerated aging of the telomeres stopped three to four years before the individuals were diagnosed with cancer. This is believed to be the first study to explore telomere length at more than one point in time before cancer diagnosis. Cancer treatment may shorten telomeres so it is uncertain how their length is affected by cancer itself or the treatment. Researchers say this is likely why previous studies have been so inconsistent. "We saw the inflection point at which rapid telomere shortening stabilizes," Hou said. "We found cancer has hijacked the telomere shortening in order to flourish in the body." 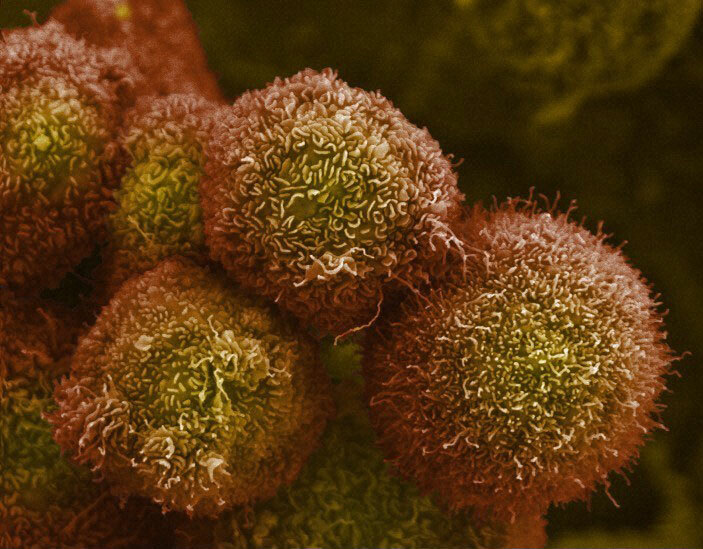 If scientists can figure out exactly how cancer takes over the cell, Hou said they hope to develop treatments that could make cancer cells self-destruct without harming healthy cells.